We all seem to like light…but what I think we really like is the ability to see things in the dark…better. 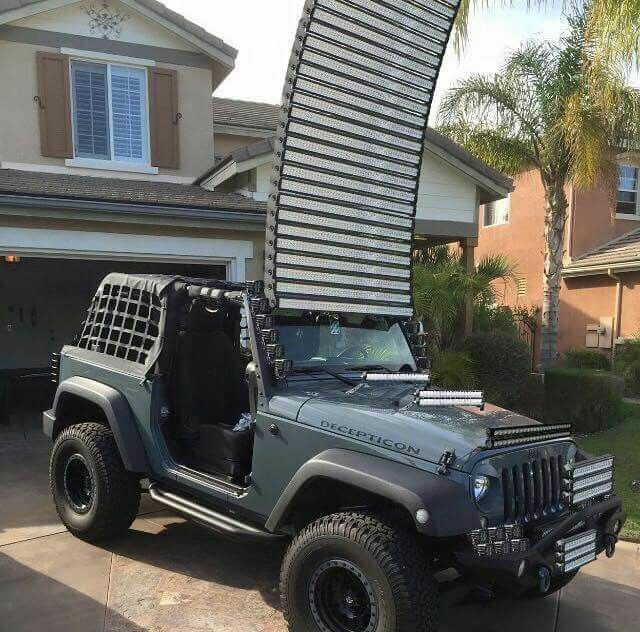 With all of the light manufacturers in the industry and the number of lights we all see on rigs you would think that the sun actually never came out! Well, I’m no exception. 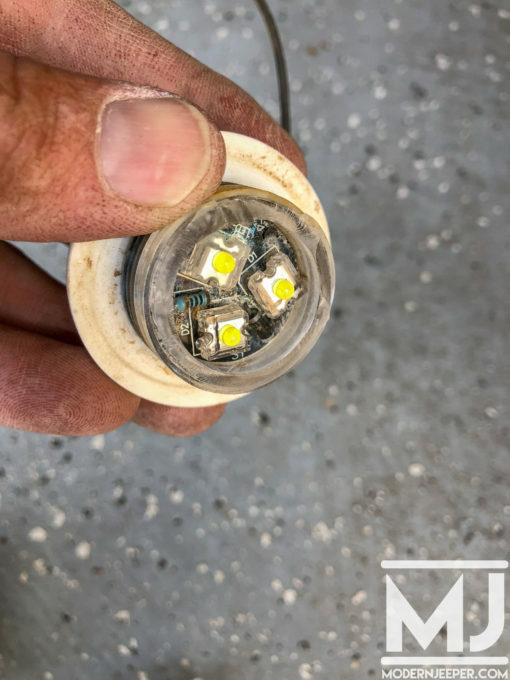 Spike, my yellow TJ, was in need of some replacement back up lights since a couple of the lights that were in the rear bumper were…uh…involved in a fight with some rocks…and the rocks won. Imagine that. The rear bumper on Spike is a GenRight part, basically a rear bumper plate with tow points welded into it. It fits tight against the frame and provides solid recovery points. 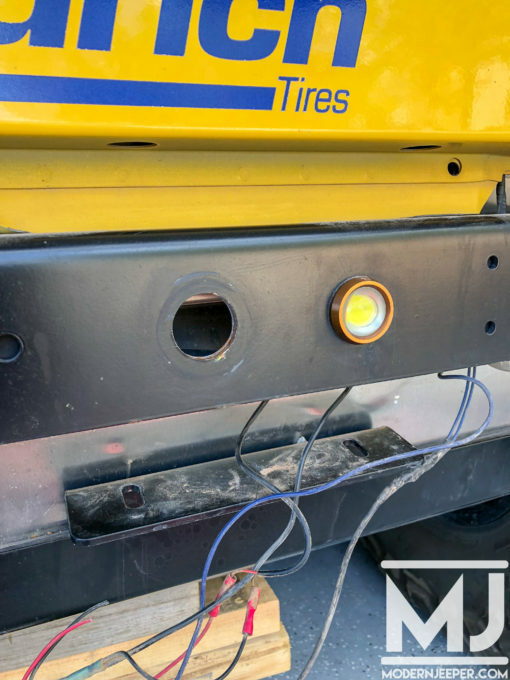 Spike’s rear plate has four 1″ holes in it providing locations for mounting lights recessed into the plate. 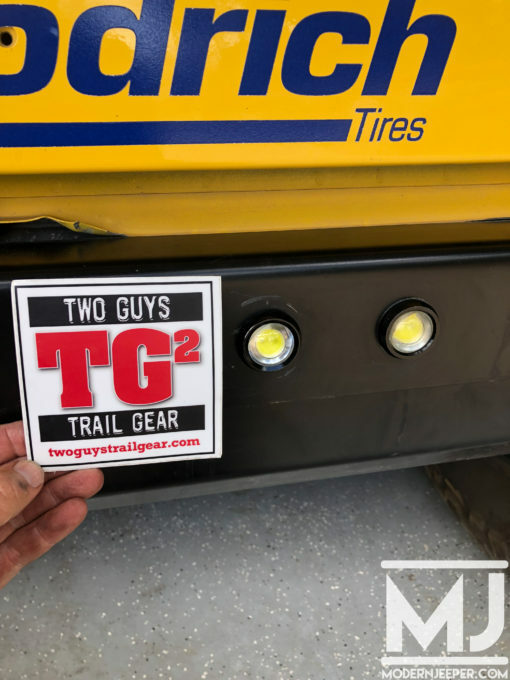 The guys at Two Guys Trail Gear make some really awesome 1″ stud mount lights that are 10 watts each! 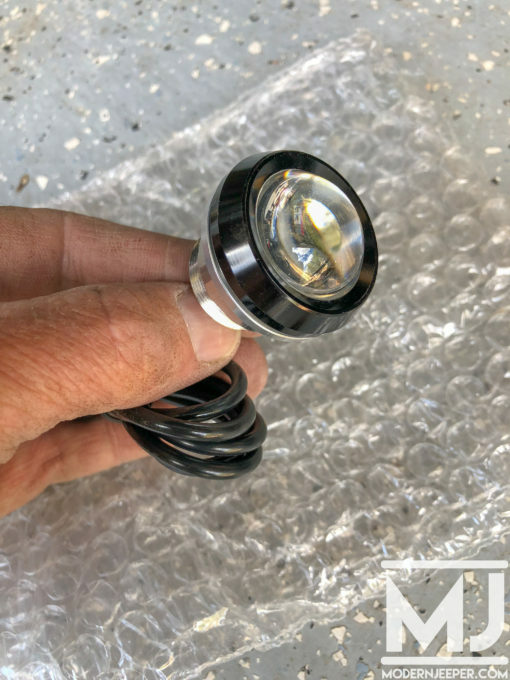 They fit perfectly into the holes, are super simple to wire up and provide an amazing amount of light! 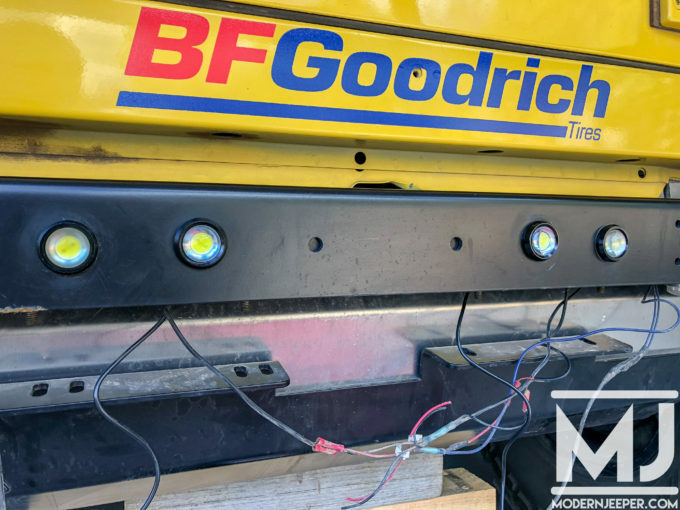 For more information on these lights, replacement bezels and more, check them out!